Details 'Markham's Pink' is a small to medium-sized deciduous climber with attractive sharply pinnate leaves composed of 9 leaflets. 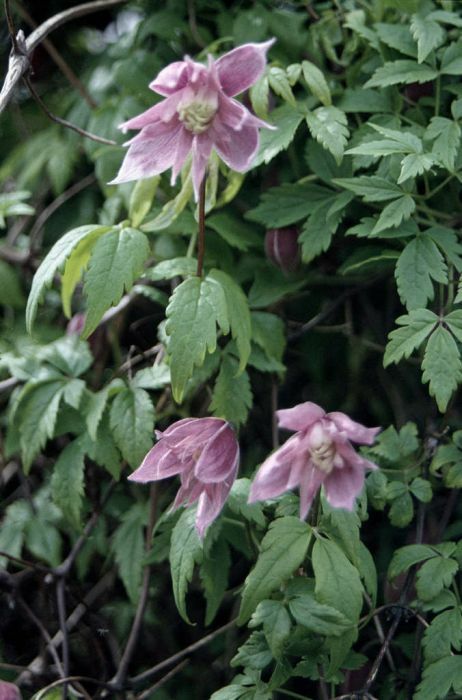 Double bell-shaped flowers to 5cm in length, with slender, dusky rose-pink sepals surrounding a mass of paler staminodes and cream stamends. Flowers in mid spring.